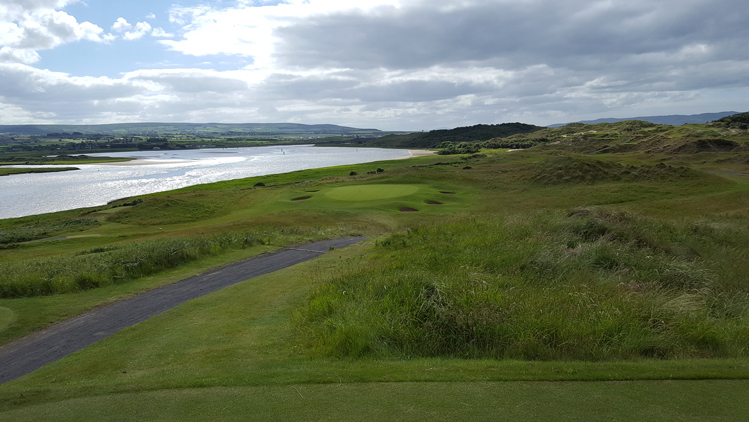 Portstewart Strand Golf Hole 1: Considered one of the best opening holes in golf, the tee box offers a beautiful view of the Northern Ireland course. The hole itself is a downhill dogleg right around a forest of gorse. There are no bunkers and none are needed with long grasses and mounding providing plenty of trouble on both sides of the hole from tee to green. Portstewart Strand Golf Hole 2: This short par four is nestled up against massive dunes to the left. With the elevated tees, the hole is clearly visible, save the left third of the fairway. The approach is uphill to a green right up against the biggest dune. The putting surface is small and narrow. 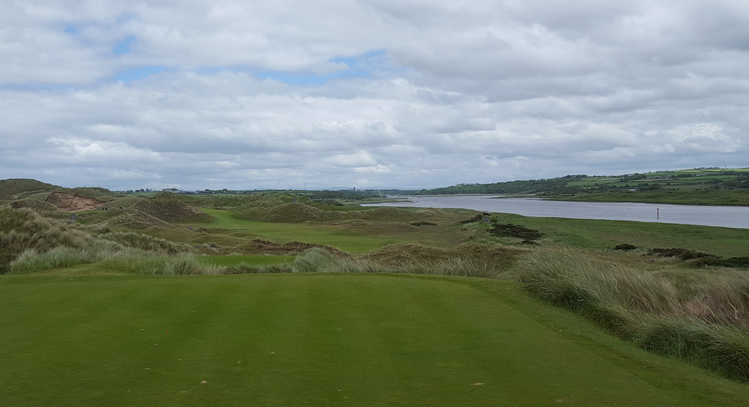 Portstewart Strand Golf Hole 5: From the elevated tee, the view is beautiful with dunes to the left and the river to the right. The hole itself is very long with two great shots needed to score well. The green is over 50 yards deep and has tiers. To reach it, the shot must find its way between two sentinel dunes. Portstewart Strand Golf Hole 7: This par five is a sweeping dogleg to the right. If the drive can find the fairway and enough of the corner can be cut-off, then going for the very small green is feasible. However, there is a drop off to the right of the putting surface and dunes to the left along the way. Portstewart Strand Golf Hole 8: This tough par four has a big dogleg to the left and a tight fairway. From there the approach is downhill to a very well bunkered green complex that also has steep down slopes to the right side and behind it. Portstewart Strand Golf Hole 11: This downhill par four is the second one that heads towards the river. It is aptly named "fernside" as the right side of the golf hole has a hill that is covered by thousands of small ferns. The other side of the fairway has four bunkers, which are not good to be in as well. The green is slightly elevated with a wall-like slope to the right that may actually save shots heading towards the ferns. Portstewart Strand Golf Hole 12: The best par three on the golf course is played downhill to a green surrounded by sand traps. The view of the river and the Northern Ireland countryside is fantastic. Portstewart Strand Golf Hole 17: This straight par four is long and has a very tight drive with thick grasses on both sides of the fairway. The approach is daunting as the green has sharp slopes down on most sides and some are towards some of the thickest rough on the golf course. More Northern Ireland Golf Reviews.